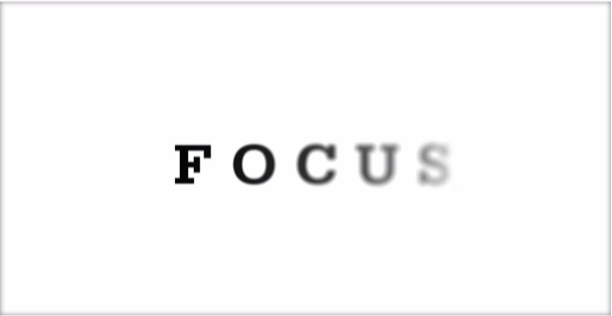 “Other than having enough cash on hand, what is the most important thing I can do to help my business succeed?” An answer that applies to most entrepreneurial ventures is – FOCUS. FOCUS on your core business. Many entrepreneurs are “idea” people. You have a great idea and begin to model your business based on that idea. As you implement your plan, you continually think of new ideas that are outside the scope of your initial concept. Large organizations can assign a team to pursue these ideas while the business continues to grow traditional products and services. As a small business, you probably don’t have the resources to do this. Keep a file of new and innovative ideas but don’t lose focus on your primary product or service. You shouldn’t move on to new concepts until you have succeeded in your core business – and then only if you have enough time, expertise, and energy to tackle another model. That’s not to say that you should ignore the wishes and demands of the market. You absolutely should revise your offerings to meet your customer’s wants and needs if you want to grow (or even survive), but don’t lose focus on your primary value proposition. If, for example, you own a bakery specializing in breads, pastries and cakes you might revise your product line if your customers want brownies or pies. That would not unreasonably stretch resources or expertise. But what if you see the success of local brewpubs and want to enter that market? You would need to research the product and market, drastically change your production infrastructure, and it’s unlikely that your space would be appropriate for both markets. If you spend time on a brewpub, you’ll lose focus on your bakery and it will suffer. FOCUS on your daily tasks, especially those you don’t enjoy. If you are an extrovert who loves being the face of the business, you still need to pay bills, record sales, and perform other backroom operations. Or you might find social media and Internet marketing to be exciting, but you could spend all day coming up with cute Facebook posts, insightful LinkedIn content or blog posts and forget totally about running your business. Sales calls, especially the dreaded “cold calls,” will almost always get pushed back. Set a schedule and stick to it. If you plan sales efforts from 10:00 – 11:00 on Tuesday and Thursday mornings, ignore phone calls and texts that are not related to sales or medical emergencies. Other responses can wait an hour. Lack of focus can be partially remedied by hiring people to do tasks you don’t relish or are not especially skilled at performing. This can free you up to do more of what you enjoy. Unfortunately, many small businesses do not have the financial capacity to hire someone to do everything the entrepreneur would rather not do. And even when you hire people to do the work, you must review and understand the results. SCORE mentors can look at your business from an outside perspective and help you determine what needs your focus. Sign up for a free SCORE mentor, find out about our reasonably priced workshops and other services, or volunteer to become a SCORE member atwww.scorenashville.org. Email questions about starting or growing your business toquestions@scorenashville.org and watch for the answers in future columns.